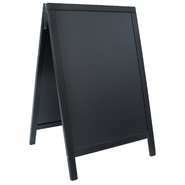 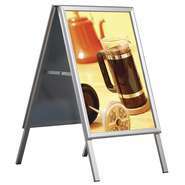 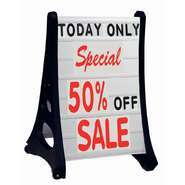 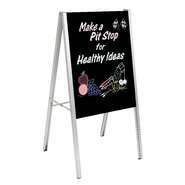 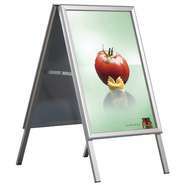 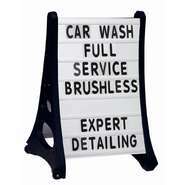 Sidewalk signs are the perfect way for stores to communicate sales and grab the attention of people passing by. 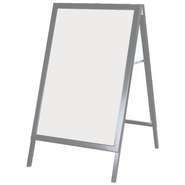 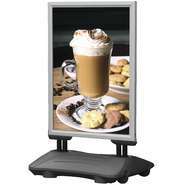 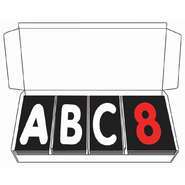 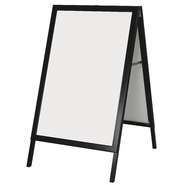 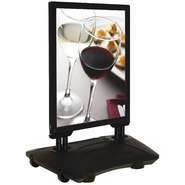 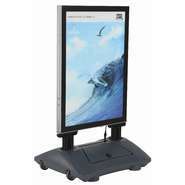 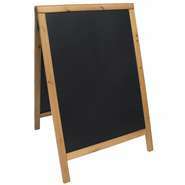 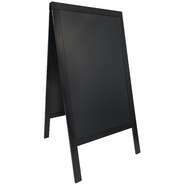 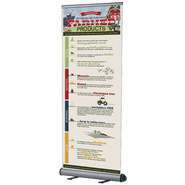 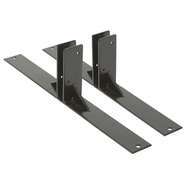 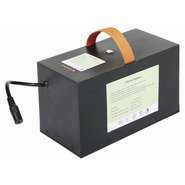 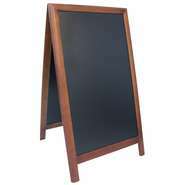 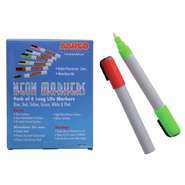 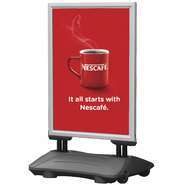 These double sided boards include options to insert graphics, letters and number cards as well as write-on models. 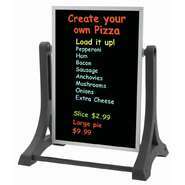 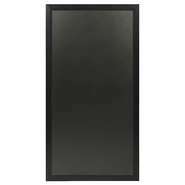 Silver WindPro® Outdoor Sidewalk Sign w/Snap Frame, 22" x 28"
Modular Multiboard Chalkboard, 26" x 47"
Black WindPro® Outdoor Sidewalk Sign w/Snap Frame, 24" x 36"
Deluxe Sidewalk Chalkboard, Dark Brown, 28" x 51"
Black WindPro® Outdoor Sidewalk Sign w/Snap Frame, 22" x 28"
Black Sidewalk Chalkboard, 21 1/2" x 32"
Teak Sidewalk Chalkboard, 21 1/2" x 32"
Black Sidewalk Chalkboard, 27" x 47 1/2"
A-Frame Sidewalk Sign Holder w/Snap Frame, 30" x 40"
Silver WindPro® Outdoor Sidewalk Sign w/Snap Frame, 24" x 36"
A-Frame Sidewalk Sign Holder w/Snap Frame, 22" x 28"
Silver A-Frame Sidewalk Sign Holder, 24" x 36"
Black A-Frame Sidewalk Sign Holder, 24" x 36"
Black WindPro® Outdoor Sidewalk Sign w/Snap Frame, 30" x 40"
Silver WindPro® Outdoor Sidewalk Sign w/Snap Frame, 30" x 40"
Deluxe Sidewalk Chalkboard, Beech, 22" x 34"